These adorable Easter egg French macarons from Yummy Mummy are a festive treat. Simple almond flavored macarons are shaped into eggs and filled with Nutella. Various pastel sprinkles and sanding sugars are used to decorate the macarons. Warning: macarons are a sensitive cookie so do not get discouraged if they do not come out perfect the first time around. 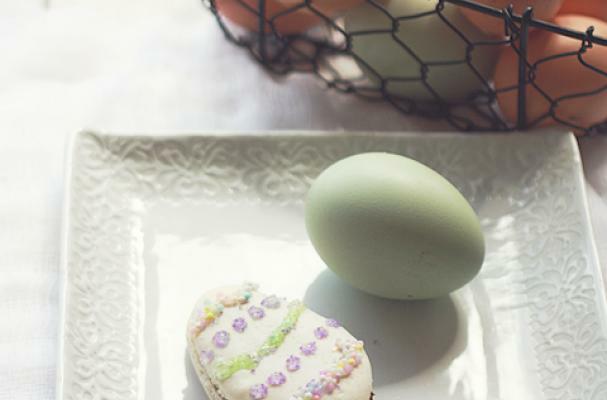 Whether it's dying Easter eggs or decorating these Easter egg macarons, spend time doing it with your friends and family this holiday.